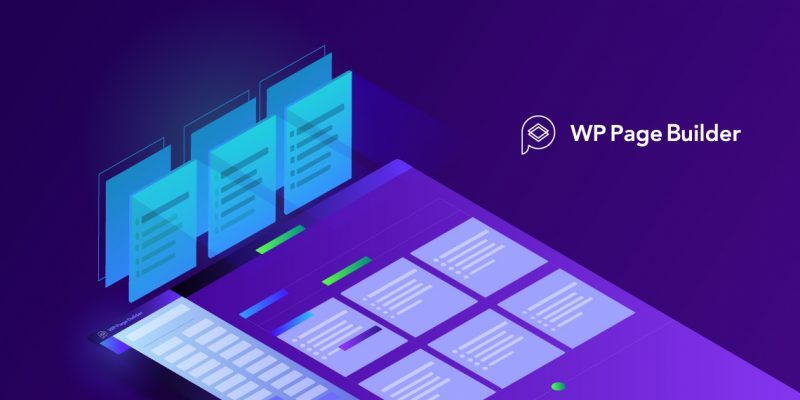 Hello WP Page Builder users! It’s another great day for all of you. Today, we are releasing an update to your favorite tool with 2 new addons, CSS filter fields, and some other improvements. It’s another big step towards making a great WordPress page builder that solely works for your flexibility. Literally, making WP Page Builder an ultimate tool for website development is an ongoing process. Bringing new features in updates helps us focus more on each of them individually. Unlike any other update we released before, this one brings new features to both free (v-1.0.3) and Pro (v-1.0.1) versions altogether and fixes all known issues. 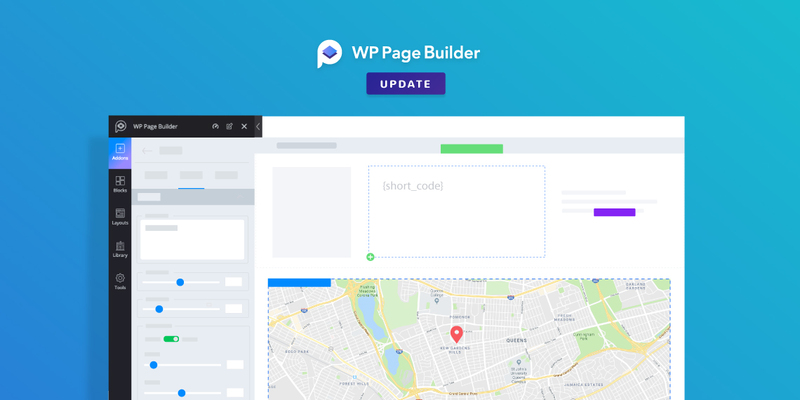 WP Page Builder enables you to use shortcodes and have Google Maps on the pages you create with the new Shortcode and Google Map addons. Some of you might have been aspiring to get these features since the beginning. You don’t have to wait any more. Get them right in this update. Let’s be introduced to all the striking inclusions in more details. This is a kind of addon that you can’t wait to have. We felt the urge from the beginning. Now you get it with your favorite tool. The Shortcode addon comes in WP Page Builder Pro. If you are a Pro user, just update the plugin to get the newly added Shortcode addon. You can place shortcodes on columns of any size, and tweak the style your way. WP Page Builder displays the output right on the editing mode so that it gets easier for you to style. Now, with WP Page Builder, it’s easy to display your business location. 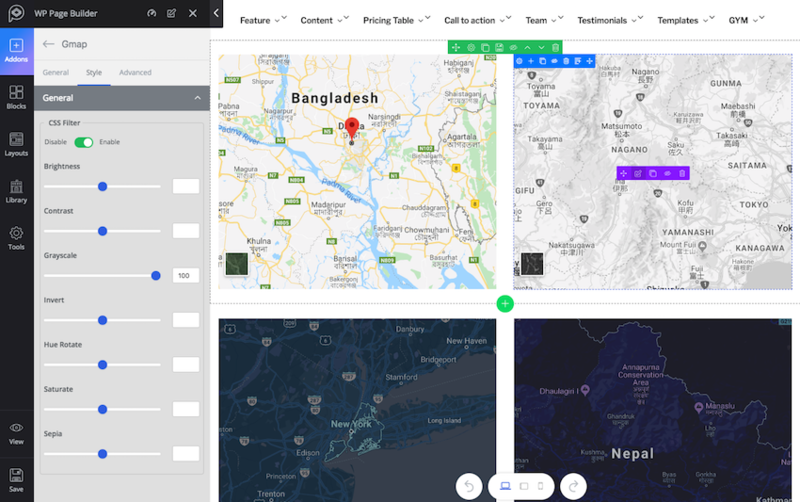 WP Page Builder’s newly added Google Map addon makes it possible with several styling options. You can set up the location just by writing exact address/business name (if listed in Google Maps) on the “Address” field. Having all levels of users in mind, we made it as simple as possible. You don’t need to get the API key and set up things on Google Map. Just writing the desired address is quite enough. You can define the Map height & width, and zoom in and out at a scale of 1 to 20. We’ve added CSS filter field type currently available for the Google Map addon (other addons will get this feature in future). You can apply filter effects like grayscale, brightness, invert, contrast, hue rotate, and more. Brightness and contrast are applicable at a scale of 1 to 200 while grayscale, invert, hue rotate, saturate, and sepia are applicable at a scale of 1 to 100. You just have to enable CSS Filter in the Style tab before applying these options. In our previous update, we said that WP Page Builder would be translation ready. We also made some progress in the previous update. With today’s update, WP Page Builder becomes 100% translation ready. We’ve tweaked the border radius issue and changed that to dimensions so that it becomes easier for the users to set the border radius to each dimension individually. Also, there were issues with Carousel shortcode, empty tab, and box shadow- we’ve fixed all of them in this update. 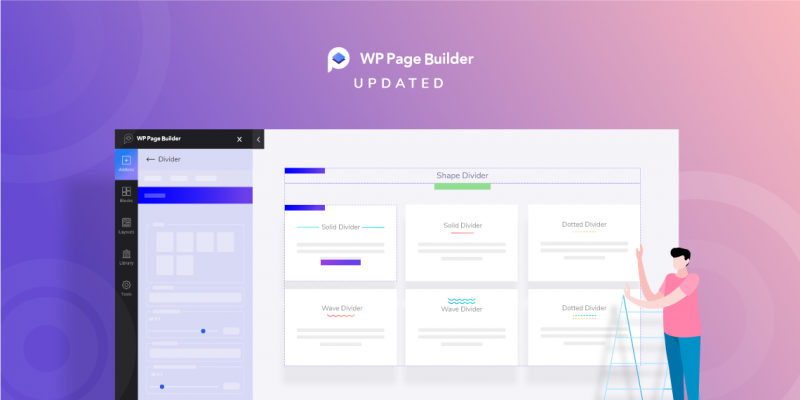 Each update we release brings new features and improvements to WP Page Builder. We are neither done with the process nor we will ever be. We will continuously update our tools and introduce features that our users love. Any feature or addon idea you have in mind might come to WP Page Builder in future. So, have no worries. Keep building beautiful websites.